Strange, how a fire can ignite from the most unlikely source; especially when that source is water related. A condo in an affluent community drew the unlucky straw of being located next to a pump station that ran the lawn sprinkler for six homes. When the lightning struck, it traveled through the pipework of the irrigation system and caught a two-car garage on fire. At stake was a basement stock full of hanging suits, jackets, and pants accumulated over a 70-year period. Belongings of a traveling businessman scientist (not a hoarder) who had passed away a few years prior. A child during the Depression, he could not bear to throw out a rag. This overabundance of clothes included a collection of unusual hats and 15 pounds of socks alone. All told, the smoke-damaged pile of clothes amounted to 1,000 pounds, all of which the policyholder wanted clean as soap. The claimant was the daughter who had moved into the home as a caretaker. Her intention was to donate her father’s wardrobe to veterans because the clothes were of high quality. She asked that the entire collection, including duffel bags, luggage, and briefcases, be fully restored if possible. A soft contents washing system developed by Esporta of Kelowna, BC, Canada, was put to the test. JP Maguire Associates is an independent 24/7 cleaning and property restoration and reconstruction services firm operating in a 37,000-sq. foot facility. We’re located in the northwest corner of Connecticut, surrounded by rural areas that are typically serviced by all-volunteer fire departments. In this case, we arrived while the firemen were containing the fire, blowing out windows, ripping off doors, and removing contents from the home. We typically begin our mitigation process with boarding and securing the property, then move to extracting the standing water, installing drying equipment if power is available, hauling in backup generators if not. We try to protect the structure from further damage and mitigate as quickly as possible. J.P. cleans gear for fire departments statewide, which accounts for a very steady stream of revenue. When it comes to this treasure trove of clothes, we successfully cleaned them, and they’ve since found new homes through a local VFW. J.P. cleans gear for fire departments statewide, which accounts for a very steady stream of revenue. So now that you’ve heard a couple nuggets of success, let’s talk process. We use a crew of three employees to run the Esporta Wash System, which can process a 100-pound load max at a time. Given an average Esporta wash cycle of two hours, the job took about 20 hours plus the time allotted to drying, pressing, and delivery. The wash system utilizes a patented hydraulic action to force organic and inorganic contaminants out of the objects to be cleaned. The force applied can be compared to the force of waves crashing against sand on a beach. The wash system utilizes a patented hydraulic action to force organic and inorganic contaminants out of the objects to be cleaned. Laboratory testing shows the technology removes 99% of contaminants and restores close to 90% of soft contents damaged by odor, soot, grime, mold and mildew to “food-grade” clean. 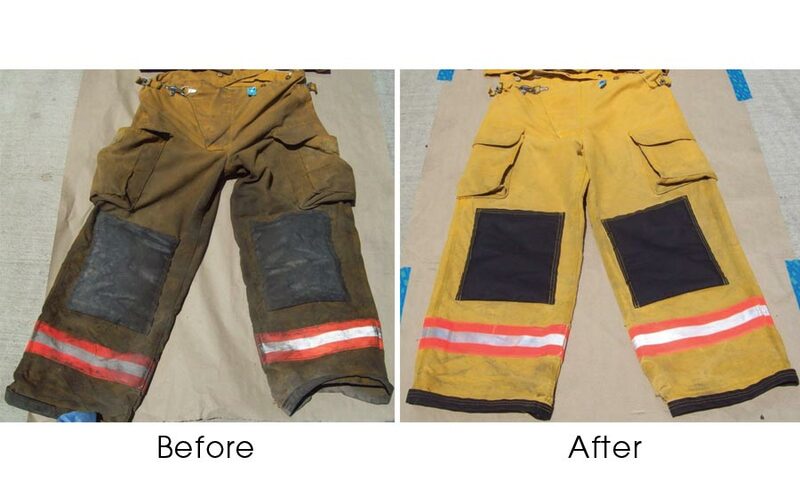 It is capable of removing toxic substances from soiled items previously thought impossible to clean and it results in no shrinkage, fabric damage or color migration. In short, the ‘before’ and ‘after’ pictures look like miracles. After securing the premises, we offer an emergency cleaning service that provides homeowners with clothes to wear. On the day of the fire loss, we ask each of the house occupants to select two weeks’ worth of clothing, shoes, undergarments, kid’s backpacks – any item normally worn within a two- to three-week period. It’s an interim solution with a 24-hour turnaround. For people who’ve had their lives upended, this service is deeply appreciated and always results in high customer satisfaction marks. One claim involved a single mother and her four daughters who were especially attached to their leather handbags, stuffed animals and cherished outfits. They were thrilled we could remove the toxic smoke and water damage quickly. We return later to categorize and document every item that can be restored. We use claims software that has a direct link to our carrier partners and allows each item to be billed and accounted for, automatically setting the price for each polo shirt or pair of L.L. Bean duck boots, for example. We enter item quantities across two column categories; one category is hanging, or full-service items. This includes wash, iron, plastic sheathing and hanging on hangers. The other category we track is our wash & fold service. We charge by the pound and this includes pick-up and delivery, even hanging garments right back up in the homeowner’s closet. 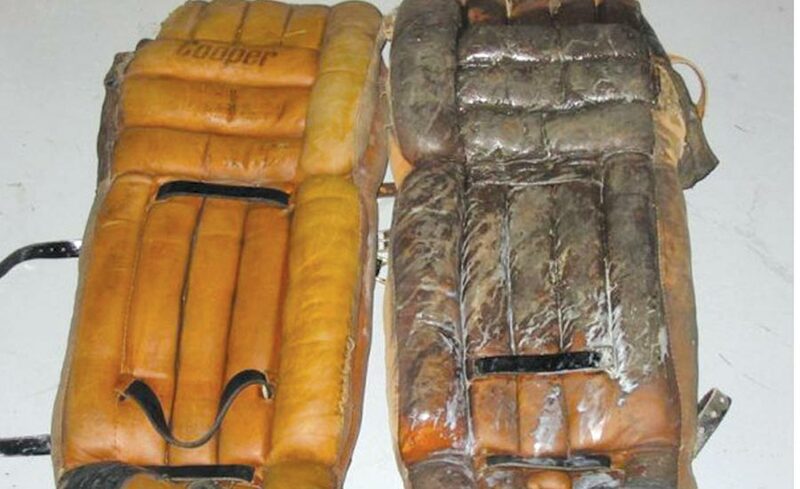 25 year old goalie pads. 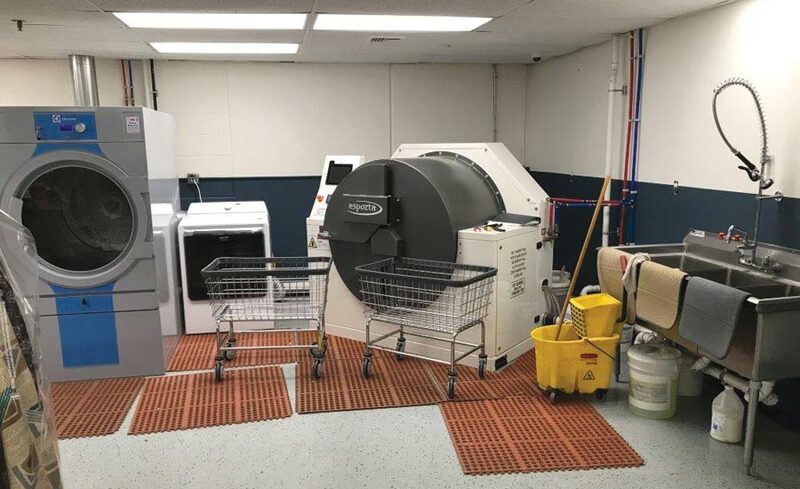 Having the right equipment really helps us dial in on specific losses and cleaning needs such as materials contaminated by chemical-laden fabrics, toxic soot, sewage, bacteria, and other harmful substances. The system is internet connected and provides reports on every wash as well as receives updated cleaning protocols to optimize the restoration process. Operating a contents line has been good for our business on five major fronts. First, there is the green consciousness mindset of knowing you’re not contributing to landfills or using hazardous chemicals associated with dry-cleaning, such as perchloroethylene (perc). Secondly, by bringing cleaning in-house, we realized a new source of profit by not having to outsource textile restoration. On top of that we realize higher margins and increased profits from processing our own contents. Then there is the CX factor. In this business, a positive customer experience is everything. Lastly, our insurance carrier partners realize substantial savings per claim settlement, which should translate to lower premiums for insureds. It’s a win-win solution for all parties, and that’s quite a rare feat in this business.